Chili sauce is a condiment I use occasionally, but not often. Needing some for a shrimp recipe I planned to make this weekend, I added it to my grocery list. Or, at least, I thought I did! I decided to make my own version with what I had on hand, using a combination of recipes, and was quite pleased. It took just a few minutes to mix together — definitely less time than it would have taken to return to the store — and it turned out quite well. I thought it was worth sharing in advance of this weekend’s casual shrimp recipe. If you have any favorite recipes using chili sauce, feel free to share. Now that I have this tasty homemade batch, I should really think of more ways to enjoy it! 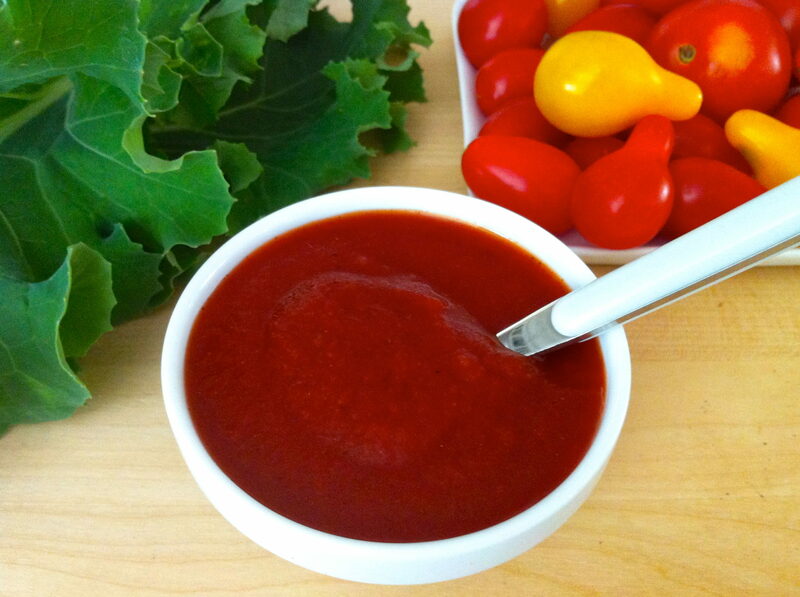 Chili sauce has an inherent sweetness to it. If you would prefer yours a little less sweet, start by adding one tablespoon of brown sugar and then taste after the remaining ingredients have been mixed in, adding the additional brown sugar as desired. Mix all ingredients together in a medium bowl until full blended. Transfer to a jar and store in the refrigerator. Flavors will develop as the chili sauce sits so make a few hours or a day in advance, if possible. Wow. Really glad I came across this recipe. I saw the bottled brand in the store for almost $4.oo and decided I would try making it. I have all these ingredients on head. Yeah! I’m so happy you found it, too, Dorothy. Always nice to save a few dollars! I’m making chili for tomorrow’s Super Bowl, today, with the chili sauce I made yesterday. I’m curious to know how long it’ll keep in the fridge and can I frezze it? Hi Alicia, The chili sauce should keep for a couple of weeks in the refrigerator. I’ve never frozen it, although I’ve frozen tomato sauce, paste, etc., so I think it would be fine. I made it because I forgot to buy a bottle of chili sauce to add to my meatballs for Super Bowl game day snacks. I used this in place of the bottled chili sauce which the recipe calls for. It was a hit with everyone who tried It. The chili sauce turned out very well. It was quick, easy and used ingredients I have on hand in my pantry. Very flavorful! This recipe is a keeper. Also, I really like to know what’s in the food I eat. If I make from scratch, I can avoid all the preservatives and extra additives. I don’t think I’ll be buying any more bottled sauce, this recipe hits the mark. I’m thrilled this was a hit with everyone and so appreciate your thoughtful feedback!